For years, Las Vegas took the bigger-is-better route, building expansive glassy mega-resorts with 4,000 rooms apiece and seemingly endless check-in counters. But with just 188 rooms, the newest hotel-casino on the Strip takes a different tack. Managers of The Cromwell hope to impress guests not with an imposing tower, but with unexpected details such as in-room hair straighteners and backgammon boards and free, self-serve coffee stations in the elevator lobby of each floor. 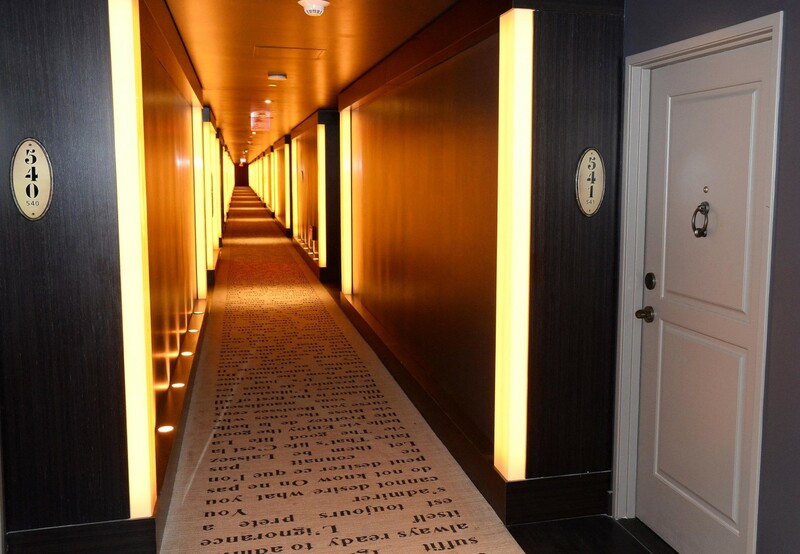 "The problem is, Vegas likes to do things on a grand scale," said Karie Hall, general manager of the boutique hotel that opened to the public Wednesday. "It's far more likely (Cromwell staff) will be able to recognize the guest and customize their experience." 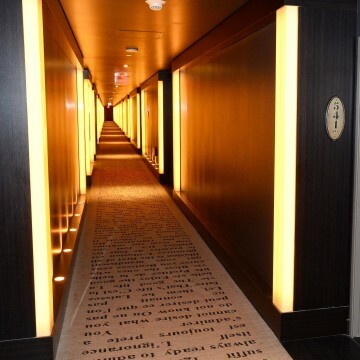 The stand-alone Cromwell, along with the 1-year-old Nobu Hotel and a smattering of other small hotels-within-hotels and off-Strip properties in Las Vegas, reflect a customer base that's increasingly interested in distinctive interior design and foodie culture. Both The Cromwell and the 182-room Nobu are built around celebrity chefs. Food Network star Giada de Laurentiis chose The Cromwell as the site of her first restaurant. At Nobu, the first hotel venture for internationally acclaimed Japanese chef and restaurateur Nobu Matsuhisa, customers order room service from an exclusive menu. Boutiques in Las Vegas aim to address some of the inconveniences of large resorts, forgoing vast lobbies full of suitcase-toting tourists and helping patrons skirt long lines for taxis. At Hotel 32, a 50-room hotel-within-a-hotel that occupies the top floor of the Monte Carlo, customers are whisked to a private lobby where they sip cocktails while a personal suite assistant checks them in. "The guests appreciate it that it feels exclusive. You have to be in the know to know about it," said Monte Carlo General Manager Patrick Miller. Many Las Vegas hotels offer separately branded accommodations for their most well-heeled guests. Several floors of the Mandalay Bay belong to the sumptuous Four Seasons, while MGM Grand offers a personal butler for guests at its exclusive SkyLofts. But boutiques such as The Cromwell, Nobu and Hotel 32 offer personalized service at more accessible prices. A Cromwell room with one king will cost less than $200 on a weekday in June. Nobu's offers a one-king room at about $150 on a weekday in June.